← Two witches and two watches? L&M gifts from Japan: Japanese sweet erasers! Now in England we say ‘rubbers’ not ‘erasers’ but for the purpose of this post, and because in America a ‘rubber’ is a condom, I will refer to them as ‘erasers’. Catering for all!! 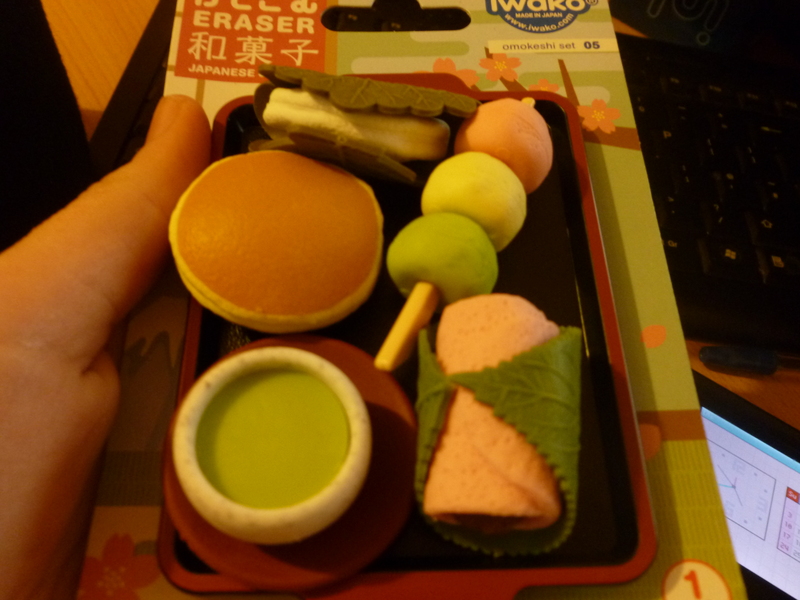 Now, onto the product, this was also a gift from L&M – a packet of erasers that look like Japanese sweets! 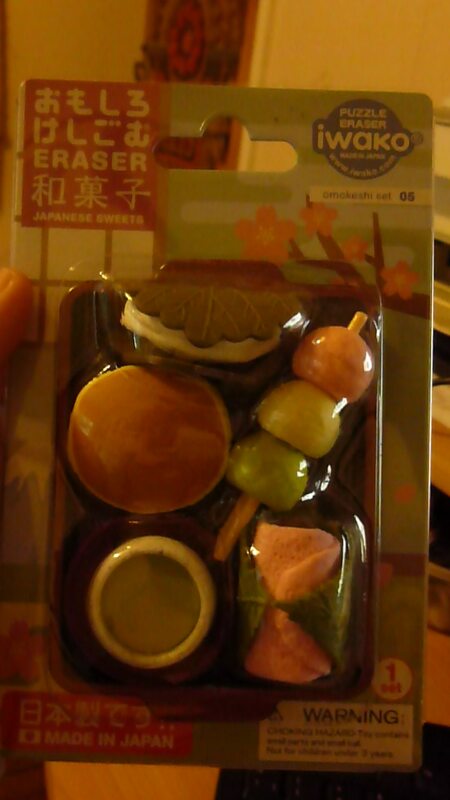 Inside the packaging, from the top and going left to right; (apologies, I do not know the Japanese names for these sweets nor can I actually identify all of them) leaf wrap, pancake, sweet dumplings (on a stick), green tea and another leaf wrap. As you can see, the green tea actually comes with it’s own little saucer!